A portion of the economic data is showing that consumers, the life blood of the U.S. economy, are coming back. We'll take a brief look at the how and where that consumption is occurring. 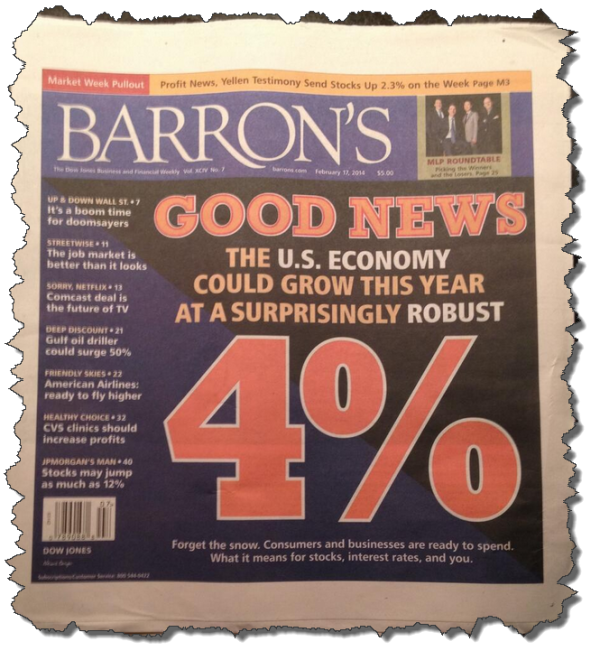 Will the economy grow at a robust 4% this year as the mainstream headline forecasts? First quarter GDP growth rate estimates have now moved below 2%, due to the steady stream of disappointing economic data over the past few weeks. It would take a monumental effort from the American consumer nationwide to print a 4% growth rate. They must go out and spend, but in order to do so they need confidence. The following chart shows the consumer confidence index separated by income. You can see that consumers making above $50,000 per year (very light line on top) have diverged from the rest of the pack. This is due in large part to every day expenses (medical, utility, gas, food) rising. All the income entering every month for those making under $50,000 is earmarked for bills before it can even hit the checking account. With every drop of income used for paying bills, what is the only American thing to do? Borrow money! U.S. household debt showed the first annual increase this past year in over four years. While the debt markets for mortgages and credit cards were essentially flat, auto and student loans rose by $114 billion on the year. This re-leveraging in America has taken on a completely different look than the borrowing that took place pre-2008. In those days money was borrowed to max out credit cards and take out home equity lines of credit. This borrowed money then found its way into shopping malls or Home Depot. Today the money is being pumped into enriching those in the higher education business (student loans) and auto industry (the subprime auto loan is back with a vengeance). The problem is this borrowed money has not made its way into regular retail stores, causing them to suffer. The second major difference in this new re-leveraging is that it has been completely backed with federal (taxpayer) money. The commercial banks have stayed on the sidelines, happy to receive free QE cash that can be gambled with in the financial markets. Are the banks lending to small businesses, which would create jobs and grow the economy? Of course not. They trust the money far more with a young trader and 3 computer screens. Although the story is different, the ending will be the same. You will see the weight of student loans continue to crush the graduating classes in future years. Consequences will range from the collapse of the current higher education system to the economic impact of this younger generation being unable to purchase homes or start new businesses. Auto loans, just as they did during the last economic downturn, will experience enormously high default rates. This will have only a minor impact compared to the $14 trillion housing market meltdown in 2008, however, when you combine these issues with the $17 trillion U.S. government debt bubble (which does not include local and state debt), the next crisis should make the last one look like a warm up. We can only hope, like everyone did with home prices, that interest rates never rise again in our lifetime.